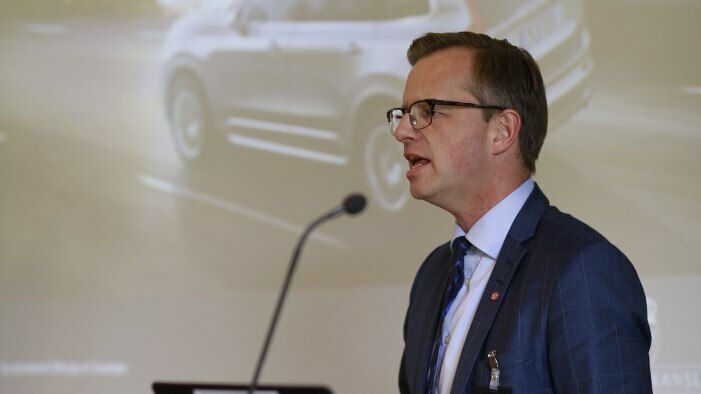 Mikael Damberg, Swedish Minister for Enterprise and Innovation. The best and brightest in biopharmaceutical research now have a place to bounce ideas and seek support from the most resourceful companies in the industry, thanks to a new innovation hub in Uppsala, Sweden. The Ministry of Enterprise and Innovation in Sweden recently announced that a BioProcess Innovation Hub will be established at GE Healthcare Life Sciences’ site in Uppsala. The hub will focus on the development and industrialization of technologies that are being used in the production of biopharmaceuticals, the fastest growing class of medicines right now. The investment coming from the Swedish Government totals USD 15 million. As a part of the investment, a new, fully-equipped facility will be built, serving a variety of projects carried out by partners from academia, small-to-medium-sized businesses, and industry. Sweden’s Innovation Agency Vinnova and academic institutions will be helping to map projects and invite partners for collaboration. The facility is expected to be up and running in 2018. The hub follows the same philosophy of open innovation and collaboration across sectors as GE Healthcare’s Innovation Village in Cardiff, Wales, focusing on life sciences and one in Helsinki, Finland, dedicated to start-ups in digital health. 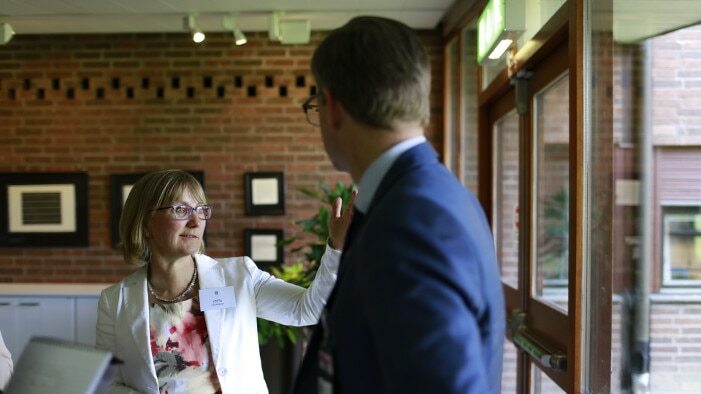 Lotta Ljungqvist (left), head of Research & Development, BioProcess, GE Healthcare Life Sciences, and Mikael Damberg, Swedish Minister for Enterprise and Innovation. 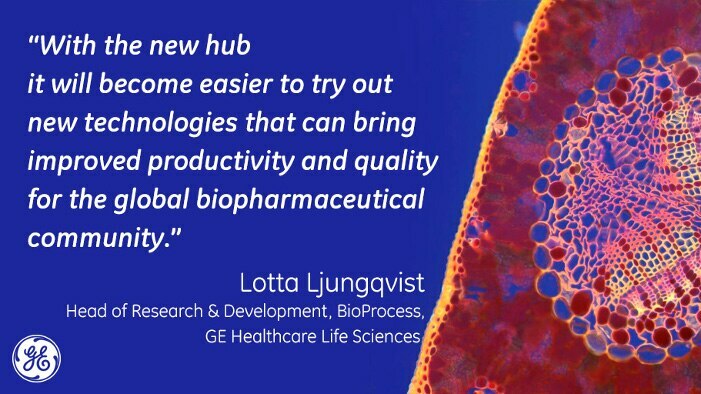 The hub provides an authentic industrial environment for the development of new technologies – according to Ljungqvist this is critical, because the lack of real test environments is a real challenge for the biopharmaceutical sector. With the new hub it will become easier to try out new technologies that can bring improved productivity and quality for the global biopharmaceutical community. The hub forms part of a wider investment driven by the Swedish government looking to cement the country’s position as world-leading in life sciences research. The government’s goal is to make Sweden a global leader in the production and research and development of biopharmaceuticals. Anders Lönnberg, the Swedish Government’s National Coordinator for Life Sciences, said that Sweden is good at innovating, but far too often the innovations are sold abroad. They aim to create favorable conditions so that it makes sense for companies to establish business operations in Sweden. 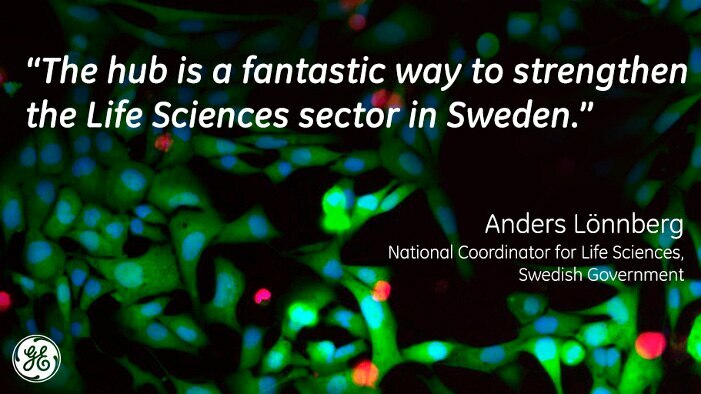 “The hub is a fantastic way to strengthen the life sciences sector in Sweden, and a much needed response to the increasing global competition. Because of its global presence and competence in several fields, GE Healthcare is the best possible partner for this collaboration. Now we have an ideal opportunity to establish a robust infrastructure promoting open innovation, leading to a complete value chain for biopharmaceuticals in the country,” Lönnberg concluded. Biopharmaceuticals are in demand these days. With the support of the Hub, the next big breakthrough might come sooner than we think.